Happy December guys! I know this time of year can be overwhelming but I'm going to try my best to go with the flow and enjoy the festivities. 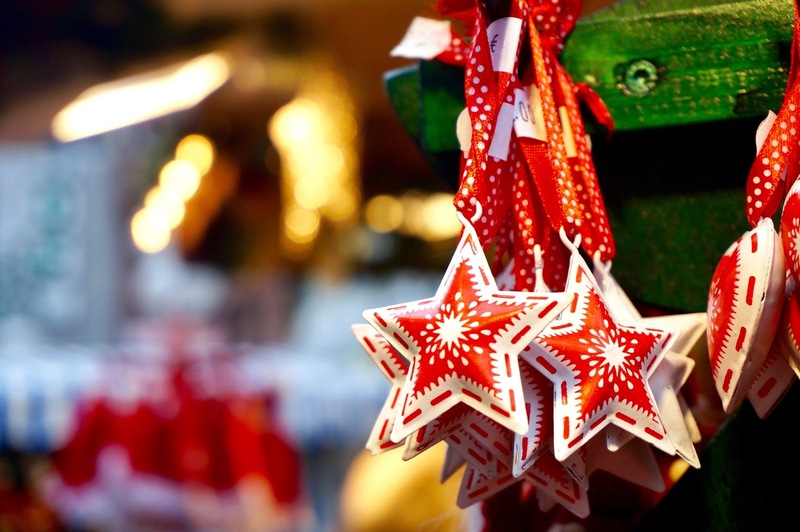 Rather than getting stressed out over gift buying and trying to meet up with everyone, I want to enjoy the little things - the eating, socialising and embracing the festive spirit! 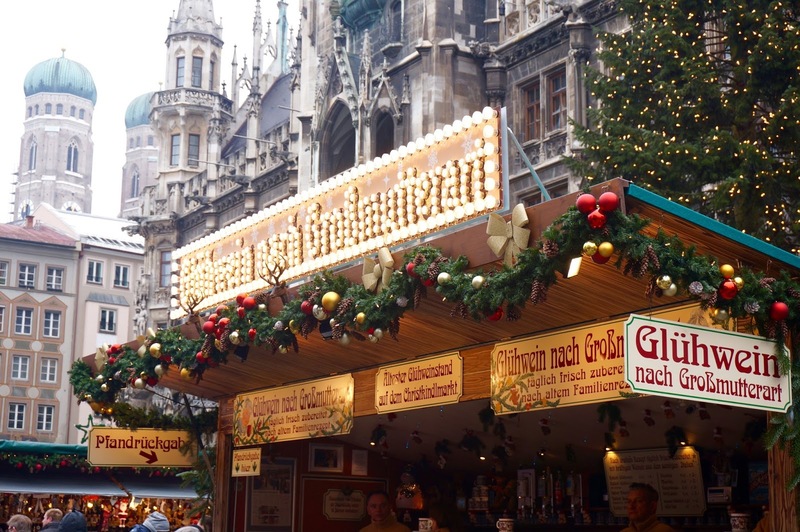 So to kick start the holidays, I spent last weekend in Munich for the Christmas markets. It was such a lovely experience and put me in a good mood for the month ahead. 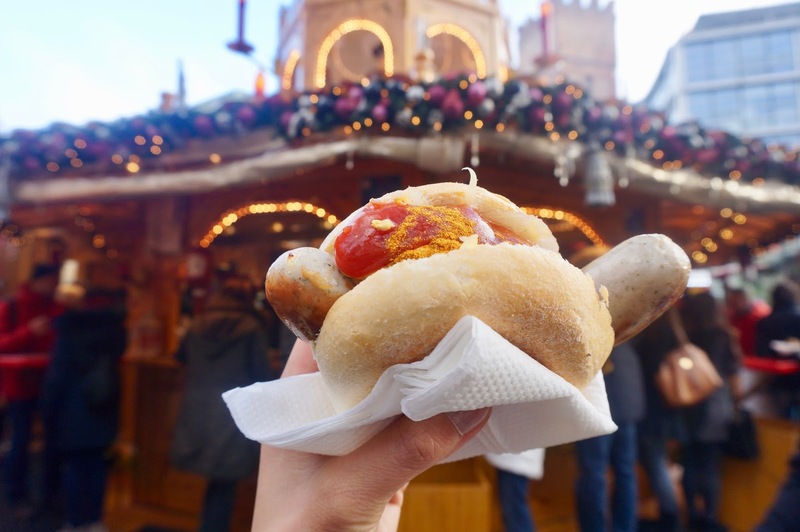 I've put together some suggestions on things to see and do in Munich during this time of year, hope you enjoy this post and bring on those #ChristmasVibes! 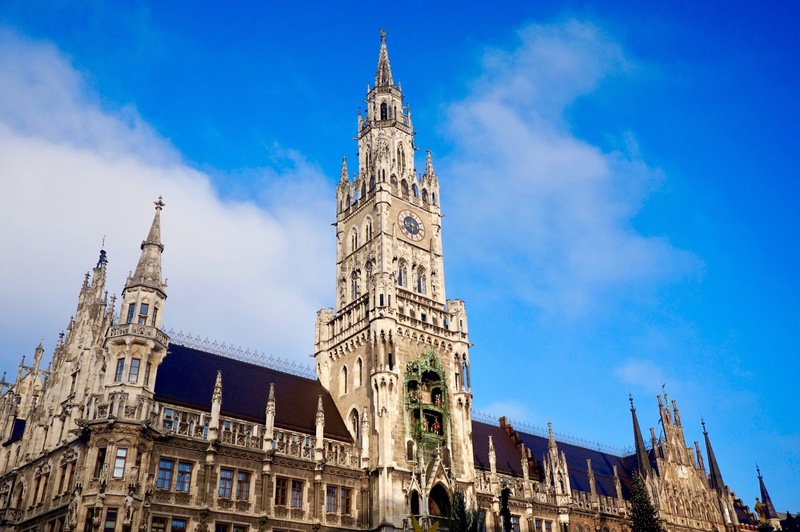 In the city center of Munich is Marienplatz Square, which has been around since 1158. The square is so beautiful with it's traditional architecture and buildings. You can hear the church bells chiming and with the Christmas tree up, it was such a lovely atmosphere. The square is filled with market stalls, which makes it busy but with a nice hustle and bustle. It's a great place to soak up and admire the sights and surroundings. With so many market stalls you are spoilt for choice for shopping. 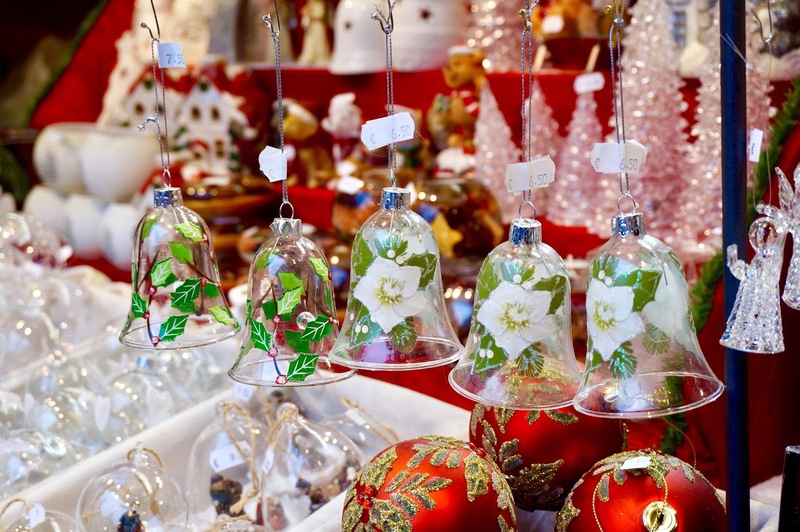 There are so many lovely trinkets, ornaments and hand made gifts. 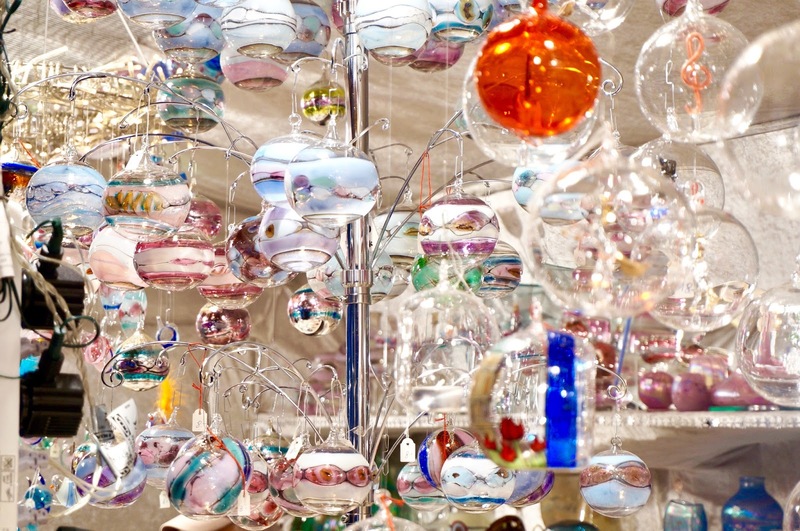 You can pick up glass blown baubles, wooden ornaments, sweet treats and loads more! 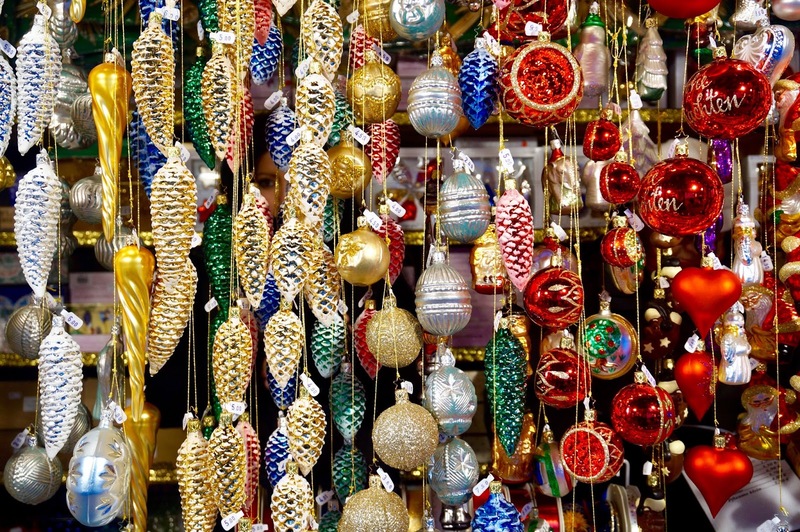 It's perfect to pick up Christmas decorations, stocking fillers and traditional souvenirs. When it's freezing cold, there is nothing like a hot drink to keep you warm. 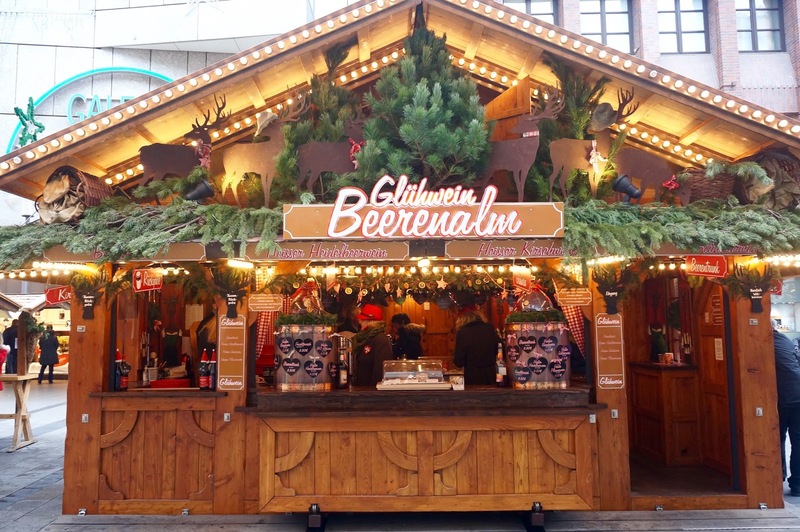 The smell of Gluhwein (mulled wine) was delightful and smelt so comforting with the all the cinnamon, cloves and spices in the air. They have alcoholic and non alcoholic version as well as hot chocolate. 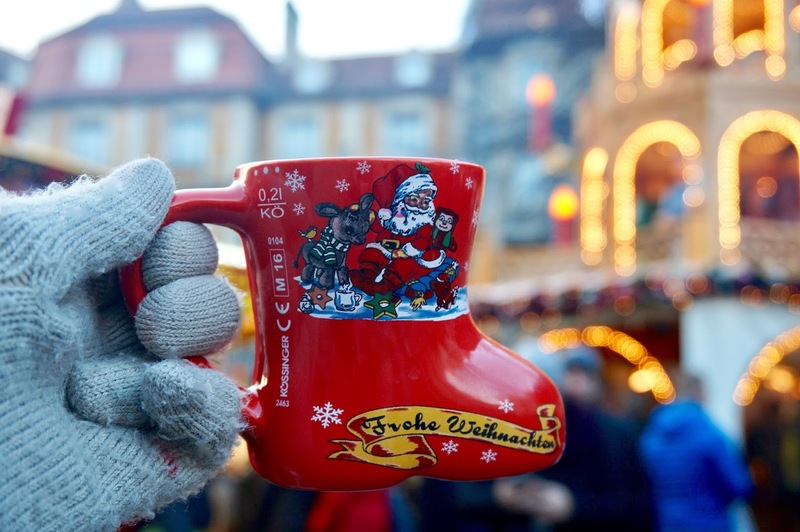 We had our hot drinks, which come in these adorable Christmas boot mugs! You can reuse them again, refill with drinks from other stalls or hand back to get your money back. Such a nice idea and you also get a souvenir! I think my sister was shocked how much I was eating over the weekend haha, I really wanted to try a bit of everything! 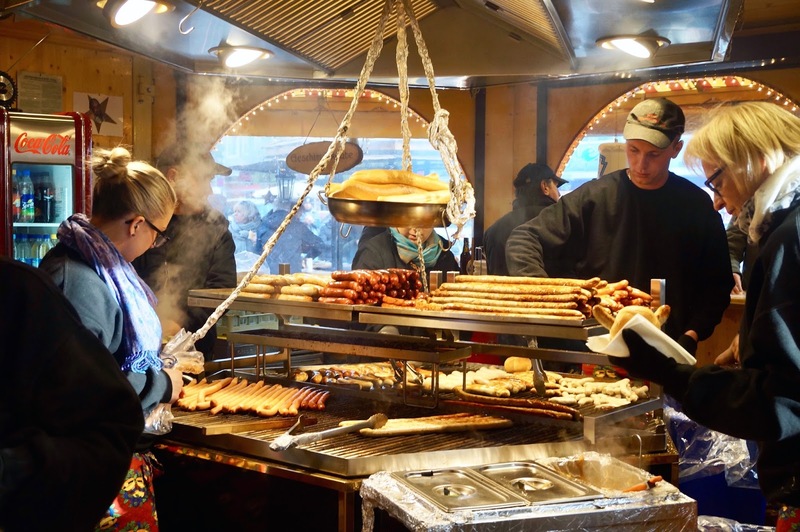 The market stalls have a range of traditional German 'fast food' from plenty of bratwurst sausages, which is typically made from pork or veal and seasoned with ginger, nutmeg, coriander, or caraway. They come in all shapes and sizes (!) and comes in other varieties such as weisswurst, currywurst and knackwurst and with fried onions or sauerkraut (pickled cabbage). 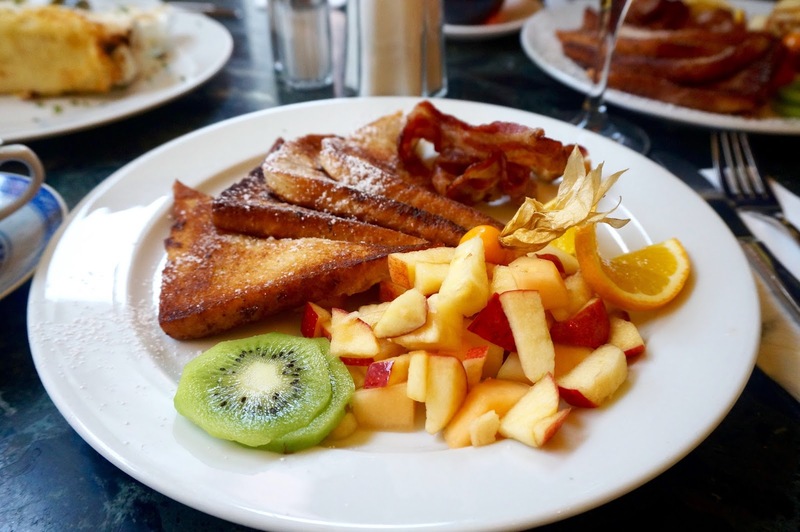 Other German dishes to try are potatoes dumplings, pork knuckle, chicken schnitzel and for something sweet you can try Kaiserschmarrn (shredded pancake with apple sauce) or stollen (fruit cake). We also had brunch at this amazing restaurant 'Baader Cafe' the french toast was delicious - must learn how to make them! If you fancy embracing that traditional Bavarian life, you have to visit one of the Munich beer halls. 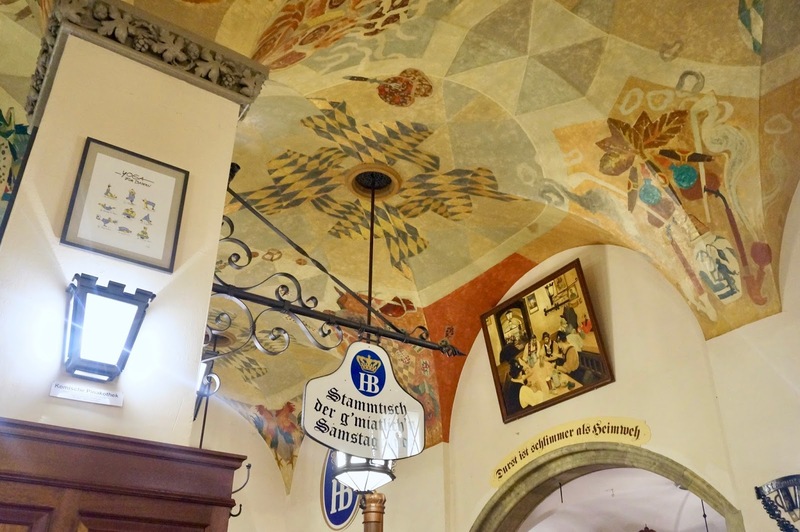 When my sister first mentioned a beer hall I just thought of a pub but when we came across Hofbräuhaus München it was such a fun and lively experience and according to Google, legendary. It's a massive hall with rows and rows of tables, a traditional Bavarian band and the whole atmosphere was how I would describe as jolly :) We tried Munchen beers in 1ltr glasses for 8€! They also serve food, the portions were humongous. We share one plate of pork knuckle between 4 of us and that was more than enough. 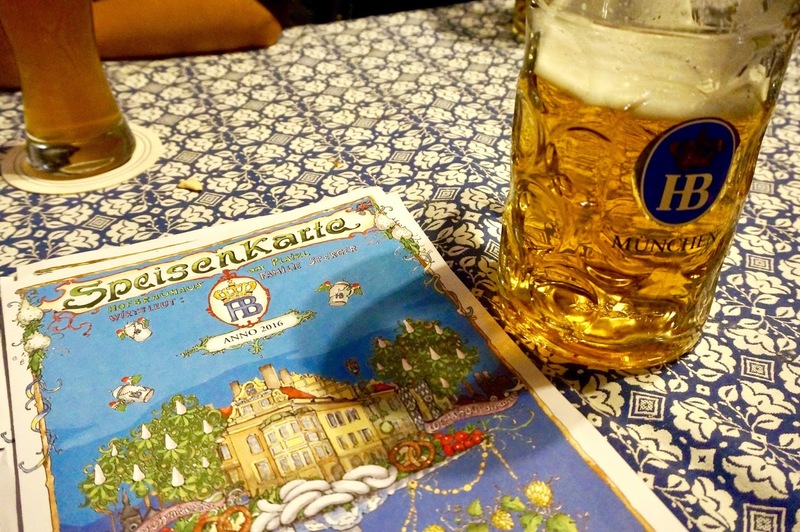 Other beer halls to tried are Augustiner-Keller and Bierschenke.